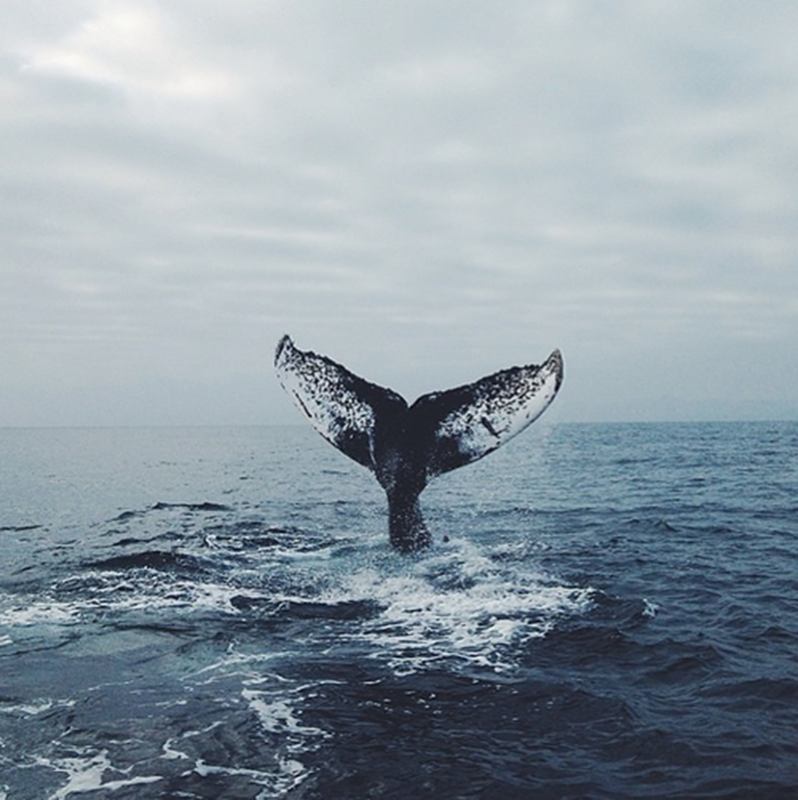 o Experiences — spa, massage, wine tours, float tanks, light therapy, free diving course, pottery. Most of us will have at least one of these lying around the house, but if not, vintage shops are a great place to find them. Maybe pick up a shirt or an old vintage scarf for a dollar and repurpose into gift wrapping. A few ideas to help you get creative with your gift wrapping. Using twine is always a winner, but if you’re feeling extra clever, some leather cord or strips of thrifted fabric can look great too. If your wrapping is looking a little ‘meh’, stroll around the garden and see if you can find some lavendar or any kind of foliage to tuck under the ribbon. Otherwise, palo santo sticks make pretty decorations and they smell amazing when you burn them too. It straight out ruined my hair. Even months after I stopped using it, my hair formed waxy dreadlocks at the nape of my neck that took me back to the old days, when mum tackled my knotty pre-schooler locks with a strawberry scented de-tangler spray and a fine tooth comb (agony). Even now, after using nasty deep cleansing shampoo as a short term solution, my hair’s not quite the same. As someone who always had silky hair it feels a lot drier and still more prone to knots. As you probably gathered, I wouldn’t recommend this solution and truth be told, since my hair is still on the mend, I’ve appointed a couple more plastic bottles of shampoo until I come across a great plastic-free solution. Finding genuinely good alternatives has been my biggest challenge since going plastic free and it’s something I think it’s important to be transparent about, because I don’t want to go recommending things to people that simply don’t work. But as a newly mainstream movement, it’ll take time for better options to become available… and I’ll make sure you know when they do! If anyone out there has found the perfect solution please comment, I’m all ears! Originating in Western Australia, Plastic Free July is now a worldwide initiative where over 2 million people and 159 countries participate. The challenge? To go the whole month of July without single-use plastics. 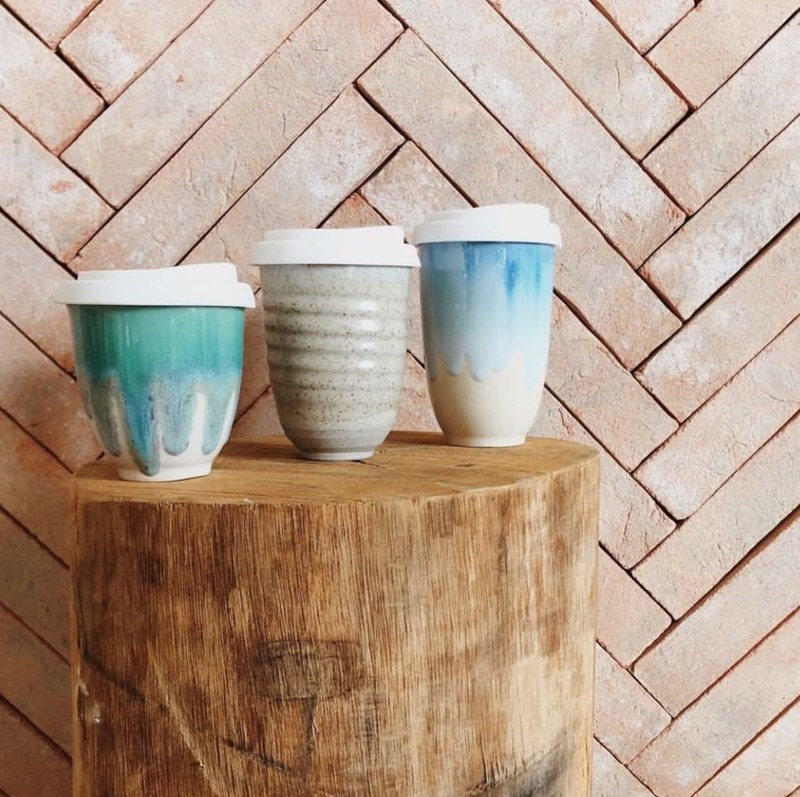 That's no takeaway coffee cups, straws, containers or plastic packaging from the supermarket. They say it takes 30 days to develop a habit and the aim of Plastic Free July is to show how easy it can be — all it takes is a little getting used to before it becomes second nature. Say no to straws — they're kind of superfluous if you think about it. If you really need one, bring a bamboo or metal one with you. Say no to cups and bring your own instead — keep it in your car or bag at all times. And no to plastic produce bags!! Use mushroom bags for produce at the supermarket. Better yet, take one of these re-usable ones. And cling wrap!! Put a plate instead of cling-wrap on top of your food, or store in re-usable glass containers instead. When doing groceries, shop at bulk food stores where possible and choose fruit and veg that isn't wrapped in plastic. 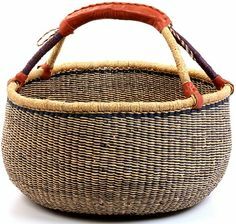 Always keep baskets or cotton bags in your car to carry things in. Dine in where possible, or bring a stainless lunchbox with you instead! It might feel weird to ask in the beginning, but it'll become normal in time, we promise. Bring a re-usable water bottle everywhere you go. Plastic bottles are the worst! And that's a wrap kids — we hope it helped! Please comment with any questions and for more inspiration check out more on our Zero Plastic blog. It might seem overwhelming at first, but turning your kitchen into a plastic-free zone is easier than you think. The trick is to take it slow and swap a habit every fortnight or so. You've already got a head start seeing as there's lots of ceramics, glass, wood and steel already present in the kitchen. With a little awareness, swapping your remaining plastic items like shopping bags, cling-wrap, storage and plastic food packaging is a no brainer and super rewarding. No more overwhelming and ugly brand packaging, just beautiful jars of nourishing whole foods that make the whole experience of cooking so much more enjoyable. Local supermarkets are filled with plastic and unnecessary packaging. Luckily, bulk whole food stores and farmers markets are growing steadily in numbers. Bulk whole food stores like The Source, also sell reusable produce bags so you don't have to go hunting for them. 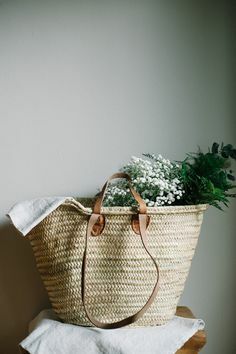 Always keep baskets or cotton shopping bags with you. This includes produce bags for storing loose items at the supermarket like grains, flour, and spinach. Onya do some great ones at an affordable price, but if you prefer canvas or muslin, try these by Leafico. Otherwise, your local bulk foods store should sell them too, but of course online will likely be the cheaper option! For takeaway cups of coffee, I love using my glass KeepCup, but if you don't want something as heavy as glass try these double walled stainless steel one's by Forestry Labs come with a handle and keep your coffee hot for longer. For smoothies, try Kleen Kanteen's range of larger cups and for food, try to avoid getting takeaway, but if you have to — use a storage container like this one from Cal Tiffin. Double walled cup by Forestry Labs to keep coffee and tea warm for longer! There's no need for cling wrap with so many other alternatives available that do the exact same job and these days, they're much easier to find in your local bulk foods shop for example. Biome has a huge selection of beeswax wraps in patterns and plain colours that you can buy online. They can be used 6-12 months and work just like cling wrap. Use them for sandwiches or to keep food fresh in the fridge. Saving jars from pesto, tomato sauce, or preserves is a great and cost-effective way to store food, but if you're after something with a little more personality, check out these incredible Danish and Japanese slick storage solutions by Vincent Van Duysen and Kiyokazu Tsuda/Yoshiyuki Kato. Nespresso coffee pods take 150-500 years to break down. They're polluting our oceans and are found washed up on remote beaches. 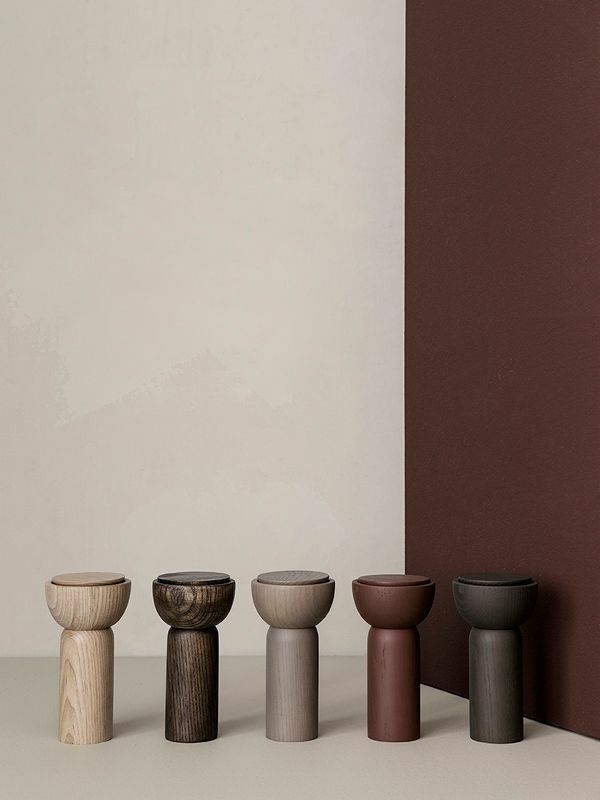 Swap the pod machine for a beautiful ceramic filter coffee system like the one below by Yonobi Studio, an espresso machine, Moka Italian coffee pot, or a French Press. There's so many alternatives that make superior coffee to the lowly and wasteful Nespresso Machine. George Clooney we love you, but you've got some explaining to do. These bad boys by MENU can be refilled with rock salt and peppercorns for plastic-free grinding. There'll be a separate post coming up for zero-plastic/natural cleaning, but we couldn't go past this cute sweeper and funnel by Polish designer Jan Kochanski. It's innovative, sleek and made from nothing but natural materials. For kitchen cleaning, there's plenty of alternatives including wooden scrubbing brushes, copper scourers, twine or coconut fibre scrub pads and cotton re-usable dish cloths. For soap dispensers, we found these beautiful amber glass one's from Rail 19, but if you're a fiend for good design then these one's by Eva Solo or Vipp 9 you'll probably have for life. Notice how most non-stick pans only last a couple of years? If you add up the cost of that over a period of 5-10 years, it'd be a lot more expensive than the price investing in some good copper pans. 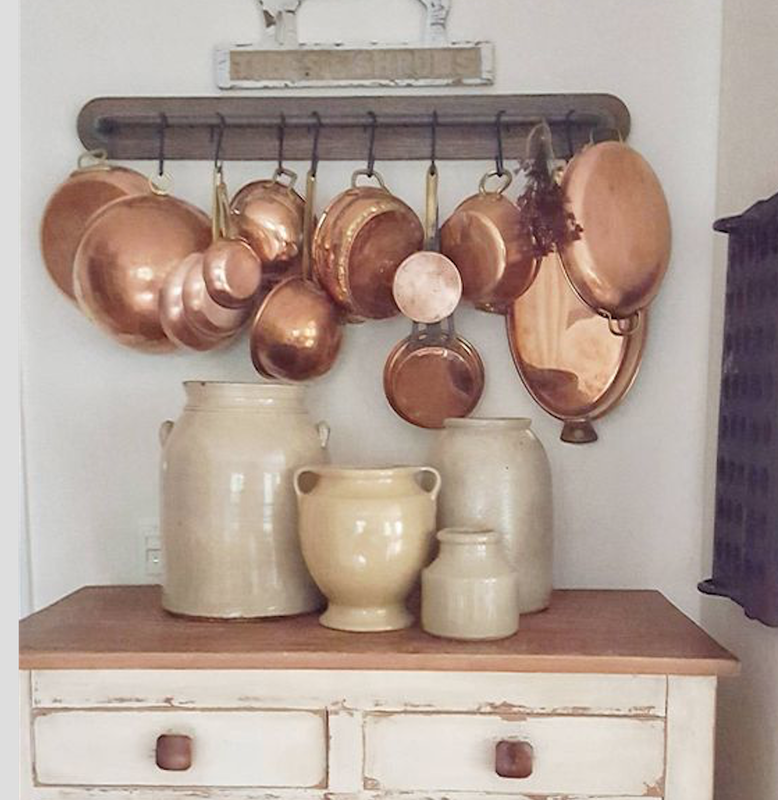 Copper pans don't stick either. Sticking occurs when heat is unevenly distributed in the pan, but copper's ability to conduct heat evenly fixes this problem and rarely sticks to food. While it's a big investment (between 400-600 for a single pan), they're the kind of things that your grandchildren will pass on to theirs. Brands like Mauviel and Falk sell the real deal, but for something a little less pricey these one's by Chasseur Escoffier aren't much more expensive than a good non-stick pan. For slow-cooking and pots, investing in one good all-rounder Le Creuset cast-iron pot will again, last a lifetime. Westinghouse also do them at about half the price tag. No more re-buying crappy pans with toxic non-stick chemicals every 2 years — just good old school cooking. There's nothing clumsier than a bulging suitcase full of 'just in case' items dragging behind you through the streets of a new town, especially if the streets have cobblestones. What's worse is packing three extra outfits, but forgetting to pack your underwear. Packing like a minimalist helps you avoid these crucial errors and sees you gliding through an airport like a well-seasoned traveller with a feather light suitcase, ready for anything. Ø For adventure-trips; A backpack is a great option — on wheels is better. I got mine for $280 on sale at Kathmandu. Unlike many backpacks where you jam your clothes haphazardly from the top down, this one unzips from the top for neat packing. Wheels aren’t for everybody, but they’re a good all-rounder if you’re bouncing from European airports to more intrepid third world countries. For standard airport-to-hotel journey’s; the obvious choice is a small black hardcover Samsonite, which wheels when it’s upright too. Coconut oil — doubles as moisturiser, makeup remover and cooking oil. Put it in a smaller 100ml jar before you go. Doctor Bronners 18 in 1 — it’s body wash, kitchen and laundry detergent and more. Need I say more? Shampoo bar — Comes in a metal tin which you can bring in carry on. Doubles as soap. Won’t leak in your bag. Essential oils — Tea tree is a compact antiseptic for small wounds. Lavender has similar properties but doubles as a relaxant when on flights. Citronella and light long travel pants — Mozzies get you at dusk and dawn even if you’re wearing citronella, so you’ll need pants too. Light pants are a must particularly tropical countries, whether you’re exploring temples or need something comfy for the plane. Eye patch and earplugs — for the plane and hostels, a good sleep is everything. Peppermint tea — Compact natural anti-nausea. Calms nerves and digestion. A must when you’re in countries where rice is eaten for breakfast lunch and dinner. Kindle — a million books in one and when you travel you tend to get a lot of book recommendations and never follow through, but with a kindle, it’s possible! Turkish towel — packs into nothing and it’s makeshift picnic blanket. Tote bag — doubles as a laundry bag, flattens to nothing. Mooji collapsible day bag — perfect if you’re planning on doing low-key hiking or travelling Europe from a base country and only want to bring carry on. Fill2Pure waterbottle — The extreme water filter is designed for third world countries so there's no excuse to buy plastic waterbottles! If you know you can get filter water where you're going, I like this one buy The Source Bulk Foods. A Cotton Sarong — it may seem basic and unnecessary, but this magic item comes in handy on nearly every occasion. It provides privacy when tied to a bunk if you’re an intrepid traveler cutting costs on budget accommodation; it protects you from potentially grimy beds, is a great towel, particularly in the tropics. Simply wrap yourself after a shower and walk around semi-naked until you’re try, or can be bothered getting dressed. Other uses include, a picnic blanket, a sleep mask on the plane if you forget one, a scarf if the wind has a bite to it. Burkenstocks — Flip-flops are for rookies. Burkenstocks can be worn from beach to low-key hike. Affectionately known to me as off-road sandals. They may not always be pretty, but they’re every seasoned travelers favourite shoe. 1 pair of active shoes — for exercise and long days of walking. make sure they’re light and collapsible. 1 pair of flat tan sandals — goes with every item in your suitcase and packs down to nothing, need we say more? I love these ones by James Smith (there are no affiliate links in any of this for those wondering). Stick to a simple colour palette e.g. my fave is black, white and an earthy colour of yellow. Throw some denim in there for good measure of course. One thin jumper — mainly for airplane or when in high country and when you put your denim jacket over it and wear a sarong as a scarf, it’ll keep you warm enough in slightly cooler climates. One puffer jacket — can be rolled into a small bag and takes up no room. Good for exercising/hikes and unexpected drops in temperature. I got mine from UNIQLO. Thin mostly cotton clothes — it doesn't crease, it's durable and dries quickly if you’re travelling the tropics. I roll all of my cotton clothes in a suitcase and it packs down to nothing. US bucks — most places have ATM’s these days, but if you end up in a pickle, everyone speaks in US dollars. Incense (and holder) — this may seem the opposite of minimalist, but I’ve learnt that anything that makes you feel mildly 'at home' on long voyages is gold, especially your accomodation has a musty stank to it. I’m currently documenting my real-time journey to eventually remove all plastic in my day-to-day life. A friend of mine recently transitioned to using apple cider vinegar and bicarb soda to rinse her hair every week or so. She has plans to eventually rinse her hair only with water. I asked her how she found it and she said “I like beachy hair, so I think it suits me quite well.” I felt her hair and it felt salty, but personally, I prefer silky hair. I tried following in her footsteps, but only lasted a few days, since I didn’t like the texture at all. I was told to persevere, but I struggled and decided to buy a waste free shampoo bar to tide me over. I was telling a friend about this bar I discovered and she said it reminded her of Morocco, where perfumes and facial cleansers come in aromatic bars, and are sold in bulk. I liked the sound of that. The brand I found is called Voi (pictured). It comes in a tin with a screw cap and smells quite strongly of the many different oils in it. From cacao butter, avocado, argan and hemp seed oil — there’s about 12 oils in it. Plus extracts from kakadu plum, fig and goji berry. All the ingredients are organic. The soft oily bar lathers and foams into your hands. The oil makes it spread onto the hair easily and it smells pleasant in the shower, but doesn’t smell too strong when it dries. I expected based on other natural shampoos that I’ve used, that this little guy would dry my hair out and I’d have to just put up with it. I thought that living plastic-free life, meant my days of lovely silky hair were over and I’m glad to say I was wrong. After washing, my hair still feels soft. In the past, I only used conditioner at the ends of my hair because it made my scalp too oily. I found the shampoo bar to conditioned the ends of my hair, without making my roots oily which I was kind of expecting. There's a couple of downsides things I'd improve. Firstly, it’s $20 for a single bar and although I haven't used the whole thing — I have a feeling it won't last as long as a standard bottle of shampoo. For that price, I find this a little disappointing and would be inclined to look into making my own recipe at home. The other trough isn't too bad since it can be easily avoided. If you’re at home I suggest leaving the bar on a soap holder, but if you’re travelling, it sticks to the bottom of the tin and is quite hard to remove. I found myself spending a good minute slamming the tin into my hand to try and get it to come out. It’s entirely plastic free, and so far leaves my hair feeling silky and nourished. It’s a good size for travel, especially if you only take carry on. You can also use it as a soap bar which is handy. All in all, I’ll continue using this and see how I go. I thought I was already pretty good at living sustainably being vego and the owner of various plastic free items like a bamboo toothbrush, keep cup and re-usable shopping bags. I knew enough about plastic in our oceans, overfishing and animal agriculture to feel passionate about it, yet when I really evaluated it, I still frequently purchased products in plastic. In bathroom alone; my toothpaste, shampoo, cleaners, makeup and razors were all plastic. As I started making efforts to be plastic-free, I quickly discovered that most of the advice out their is either telling you to make-it-yourself, or recommending a product that doesn't appeal to me in terms of quality and aesthetic. This kale + green tea, spinach and vitamin infused cleanser smells like cucumber water and feels so fresh on the skin. It removes all makeup without stripping the skin. The nutrient rich gel is vegan, organic, sulfate-free and it also comes in a generously sized bottle with a biodegradable pump lid. Active ingredients include, aloe vera, vitamin A, E and C. On a side note, their moisturiser is equally amazing and I'll be sharing a post about that soon. Skin care fanatics will instantly recognise this skincare brand which has been on high rotation with beauty Youtubers and bloggers who have sung nothing but praises for their range. The Juju facial cleansing bar is one of their most popular products, it balances the skins PH, removes dead skin cells and heals with antioxidant rich marula. Made with French green clay to purify and coconut oil and shea butter to moisturize, April Skin’s slick black cleansing bar is also suitable for sensitive skin. They also offer a cleansing stone as part of their range for a deeper cleanse at night time. Crushed cranberries and 1% glycolic acid buff the skin and coconut oil keeps it moisturised in this compact cream coloured soap bar for the face and body. The Alpha H cleansing cube is more affordable than most, at just $11 a bar. Acting to absorb dirt and impurities, the activiated charcoal content removes excess oil from the skin while olive oil and coconut oil softens the skin. 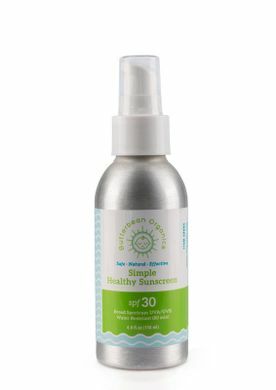 This product is also Australian made, vegan, free of palm-oil and not tested on animals. When immersed in water, the hard black sponge turns buttery soft and removes hard to get, acne causing bacteria from the skin. Used in Japan for over 1500 years, they are PH neutral which keeps the skins natural acid mantle of the skin intact, while other harsh cleansers might strip this protective layer. The Konjac sponge helps protect the skin from environmental and bacterial damage and enriches it with minerals. You can use it on its own or with a cleansing bar to stimulate blood flow and cell growth. With lactic acid for mild exfoliation, this cleanser comes in a glass bottle with a biodegradable top. Only half a teaspoon of the Parsley Seed Cleanser mixed with water forms a foaming gel. Clarifying liquorice root and blackcurrant seed will leave your skin feeling fresh and clean as a whistle.